This is where those airline miles paid off. 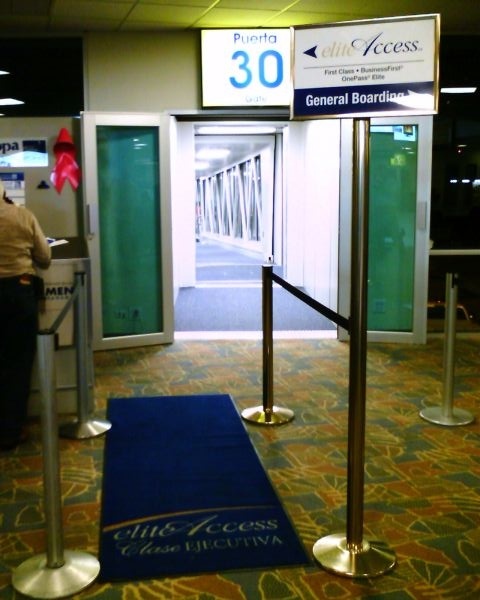 They call for boarding for first class and "Elite Access". I look at my boarding pass and notice I'm Elite. I get to board first and walk on the blue carpet.